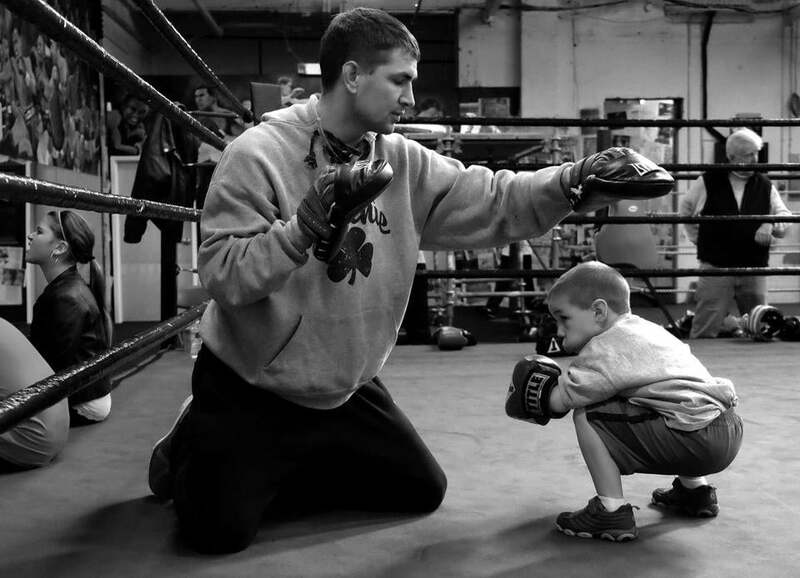 Jimmy LeBlanc teaching boxing to a youngster. 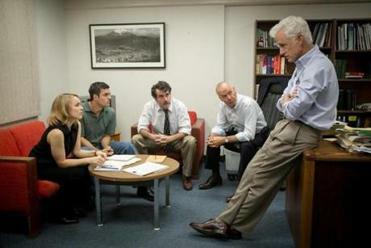 “Spotlight” director Tom McCarthy’s movie about The Boston Globe investigation that exposed the priest abuse scandal in the Roman Catholic Church, has a stellar cast that includes Michael Keaton, Mark Ruffalo, Rachel McAdams, Stanley Tucci, John Slattery, and Brian D’Arcy James. But one of the movie’s most compelling scenes features South Boston actor Jimmy LeBlanc, whose resume is considerably shorter than his costars’. LeBlanc, 41, plays Patrick McSorley, one of the victims of the Rev. John Geoghan. Last week, we talked to LeBlanc. A. South Boston. I went to St. Augustine’s from first to eighth grade, and from there I went to Matignon High School, in Cambridge. Q. Let’s talk about acting. How long have you been doing it? A. I had an interest in it since I was a kid, but I never pursued it. I had that attitude of, like, “I’m not in Hollywood. I don’t know anyone. I’m not going to get into anything.” Then “Gone Baby Gone” came along, and a friend of mine said they were looking for people. Q. Had you ever acted before? In school? Q. So nothing at all since “Gone Baby Gone”? What do you do for work? A. I’m in the sheet metal union. Local 17. I get up every day and swing a hammer. I can’t wait to get out of it. I’m trying to catch a break. But it’s tough. I’m trying to get an agent, but they don’t want anything to do with you unless you can make them a ton of money right now. Q. How did the role in ‘Spotlight’ happen? A. I got an e-mail from CP Casting and I went in and I auditioned. Q. This was for the role of Patrick McSorley? A. Yeah. I broke it down the way I thought it was. The way it starts off, it sounds like it’s really emotional and tough, so I did that. [CP Casting president] Carolyn Pickman loved it, but they were looking for something different. Patrick was very loud and outspoken and angry at the world, so Carolyn had me do it that way. A few days later, I got a call back and met Tom McCarthy, the director. I did the scene two different ways for Tom, and he says to me afterward that he wants me to be loud and pissed off. He said, “Something about the word ‘[expletive]’ just brings that character to life.” We kind of laughed. Four or five days later, I got the part. Q. But in the movie, your character is pretty subdued. Why? A. So when we get up to Toronto to film, Tom says he wants to come back to the way I originally did the audition. I said OK. You just have to stay focused and follow your objective, what you’re trying to get from that scene, and go after it. Q. Your scene is with Mark Ruffalo and Stanley Tucci. How were they to work with? Q. What are you hoping happens when the movie comes out [nationwide]? A. Maybe Ari Emanuel sees it and signs me to William Morris Endeavor. I don’t know. At the party after the premiere [in Boston], people said I did a good job. I was talking to Mark Ruffalo and this lady comes up and says, “Can I interrupt for one second?” so I stepped back because I figured she wanted to talk to Mark, and she wanted to talk to me. That was pretty cool.